The Yellow-shouldered Parrot, also known as the Yellow-shouldered Amazon, is green, with yellow head and shoulder patches, white forehead and a red flash on its wings. It has a bluish tinge on its lower cheek and chin and dark blue tips to its wings, and averages about 33 cm in length from head to tail tip. Yellow-shouldered Parrots mostly eat fruit, seeds and cactus flowers. They are highly sociable birds and roost communally in tall trees, with as many as 700 birds together. They have a curious, inquisitive and playful nature. Yellow-shouldered Parrots are very noisy; they make dry rattling and trilling calls. The Yellow-shouldered Parrot has a very small range, only occuring along the northern coast of Venezuela and the islands off its north coast, such as Margarita Island. Yellow-shouldered Parrots live in desert shrublands with a vegetation of low thorn bushes or trees and cacti. 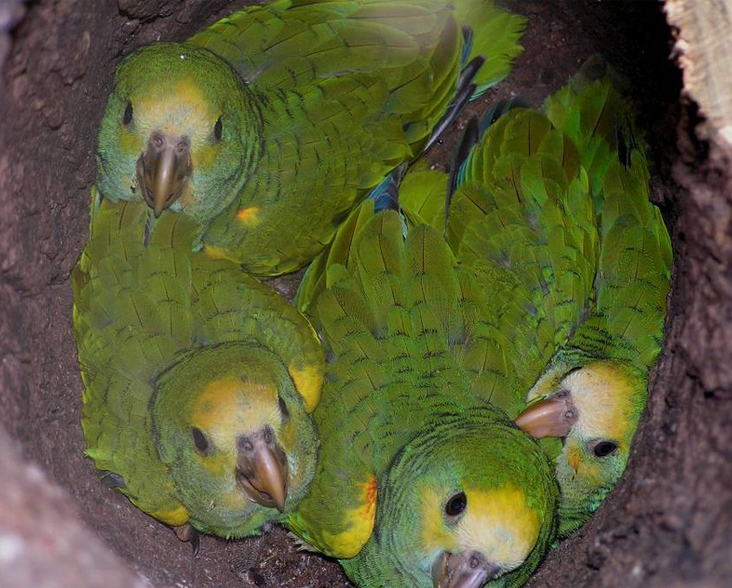 In the breeding season, usually between March and September, parrots form pairs and nest in holes in trees, cacti or cliffs, where they lay between 2 and 5 eggs. The Yellow-shouldered Parrot is at threat from both the pet trade and habitat loss, and its very small range area increases the impact of these problems. 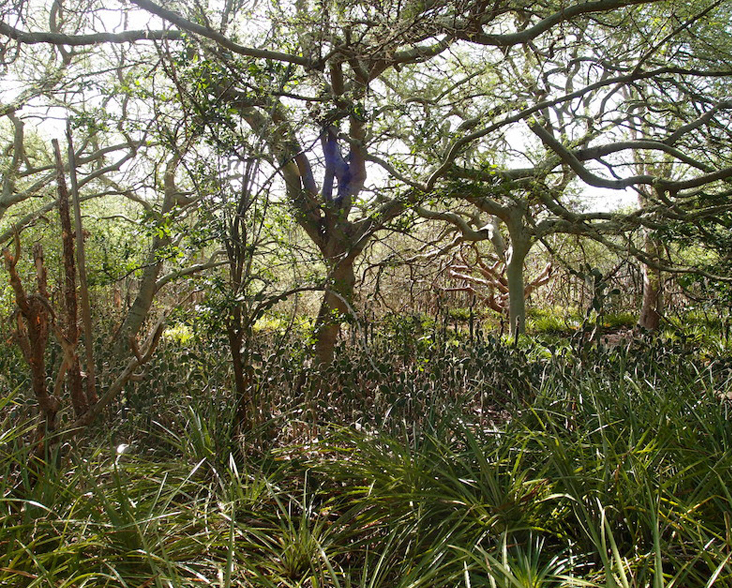 Some of this habitat loss is due to overgrazing by goats. On Margarita Island (where WLT are working with project partners Provita), a lot of its habitat is being lost as a result of tourist developments. There are also issues concerning increased predation due to introduced mammal species and conflicts with farmers as the birds may damage crops. Although precise numbers are not known, IUCN has estimated that less than 6,000 Yellow-shouldered Parrots remain in the wild. Most recently, WLT’s partners Provita have had success over several years with an intensive programme of nest protection, preventing fledgling parrots from entering the pet trade. The Margarita Island population has actually increased from well under 1,000 birds to an estimated 2,000 in 2015. In addition, Provita are working to raise local awareness among Margarita’s communities.